Like one in six people in India, Sujatha Gidla was born an untouchable. 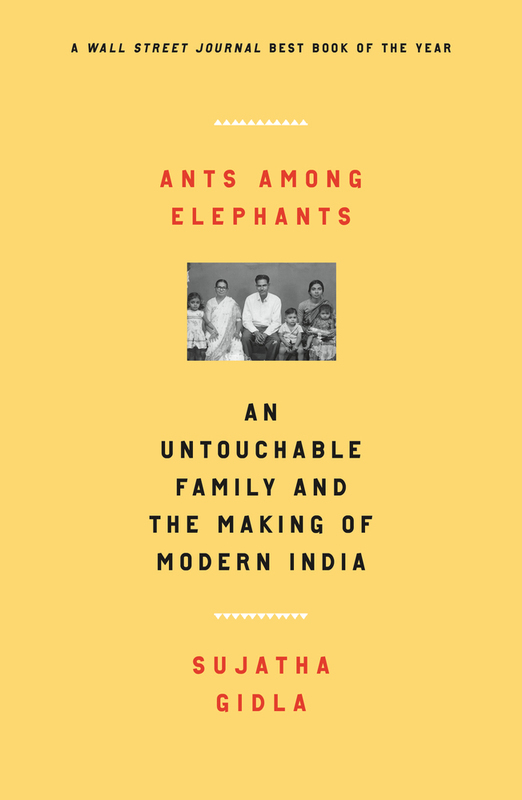 While most untouchables are illiterate, her family was educated by Canadian missionaries in the 1930s, making it possible for Gidla to attend elite schools and move to America at the age of twenty-six. It was only then that she saw how extraordinary—and yet how typical—her family history truly was. Her mother, Manjula, and uncles Satyam and Carey were born in the last days of British colonial rule. They grew up in a world marked by poverty and injustice, but also full of possibility. In the slums where they lived, everyone had a political side, and rallies, agitations, and arrests were commonplace. The Independence movement promised freedom. Yet for untouchables and other poor and working people, little changed. Satyam, the eldest, switched allegiance to the Communist Party. Gidla recounts his incredible transformation from student and labor organizer to famous poet and founder of a left-wing guerrilla movement. And Gidla charts her mother’s battles with caste and women’s oppression. Page by page, Gidla takes us into a complicated, close-knit family as they desperately strive for a decent life and a more just society.